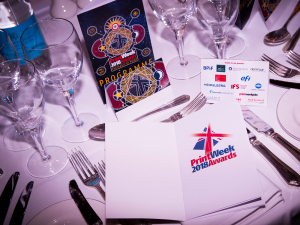 On Monday 22nd October a couple of us were lucky enough to attend the Print Week UK Awards as guests of HP Indigo. 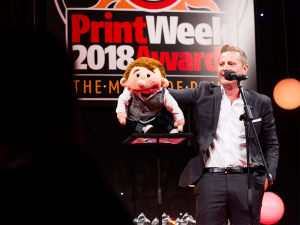 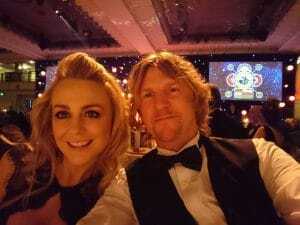 The gala dinner and awards presentation was held at Mayfair’s swanky Grosvenor Hotel and included a champagne reception, a 3-course dinner and entertainment form ventriloquist Paul Zardin before the awards themselves. 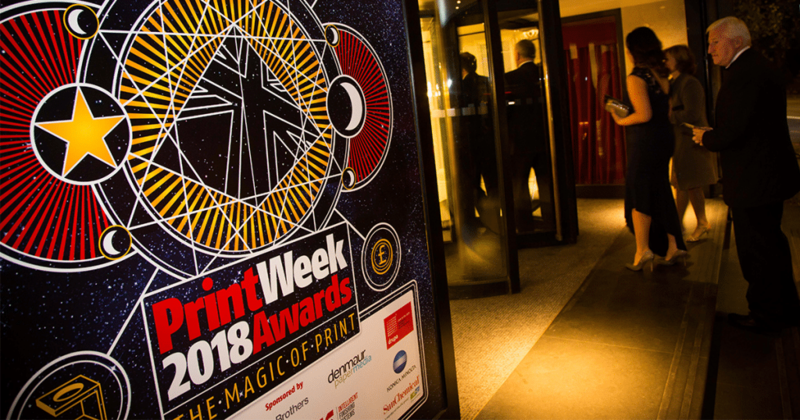 There were 24 category winners in total, and although RNB hadn’t chosen to enter for 2018 it has given us some ideas for the future….